School factors are the focus of this chapter, and the development of self-control as a personality trait is addressed. The rigidity of the educational system has been criticised for contributing to the rise in violence at school, particularly bullying, and at home with school refusal. 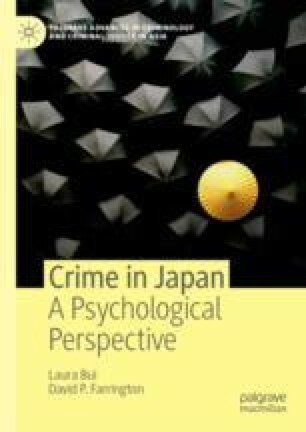 In this chapter we discuss a specific form of bullying found in Japan, ijime, and how that differs from common understandings of bullying. Avoiding school violence and the strict educational system may influence young people to keep away from school, and in some cases, develop tōkō kyohi, or school refusal.